Marcel is the owner of Meeting Media Company, a niche Meetings Industry publisher since 1992. He is the Editor-in-Chief of MIM magazine and Headquarters, one of the world’s leading global association magazines. Marcel started his career as a Human Resources Manager in various Belgian and international companies. 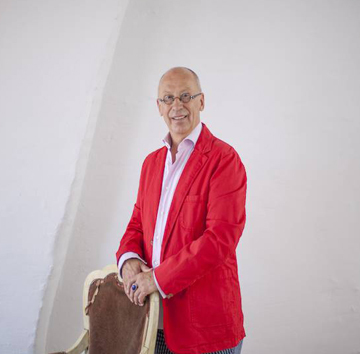 He founded the first fully-fledged Belgian Meetings Industry magazine titled Meeting Media, and has been credited as the founding father of the Belgian and European Meetings Industry journalism. In 2002, Marcel started a new magazine, called Headquarters. This magazine has grown in a short time span to be the leading global magazine for Association Executives. It is supported by ESAE, ICCA and UIA. Marcel is also a well-known speaker worldwide. He has a special interest for the development of the meetings industry in emerging countries. In 2006, he introduced the highly appreciated ‘Dress to Impress’ Awards at the yearly ICCA Congresses during the Farewell Dinners. He is the recipient of numerous awards, including Belgian Meetings Industry Award 2005, MICE Personality of the Year 2007 by MPI’s Belgium Chapter, and the Golden Meetings Industry Medal of the French Republic.